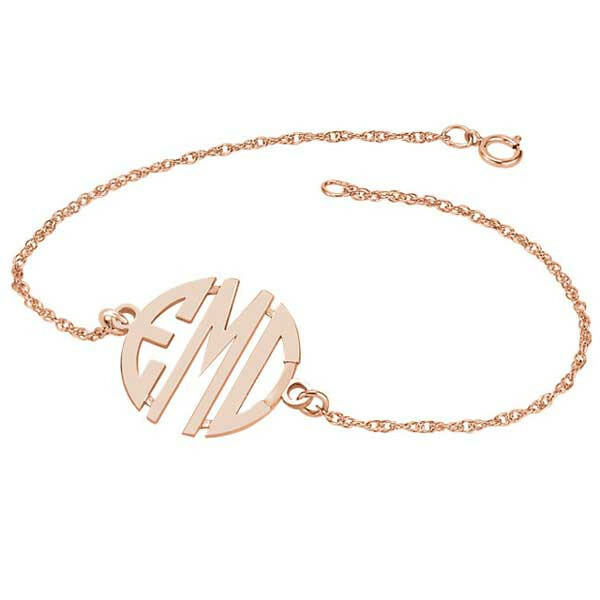 What are your initial thoughts of this rose gold bracelet? The personalized piece is crafted in 14kt precious metal, and features block-style letters. We think you'll love the bracelet, and wear it often!